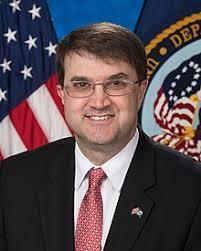 Wednesday, April 10, 2019 – Robert Wilkie, the Veterans Administration Secretary, joins us to discuss issues facing healthcare for the country’s veterans. ~~~ Bill Thomas joins us with some highlights from the recent Statewide Arts Convening sponsored by the North Dakota Council on the Arts. He shares some highlights from the Governor’s Award for the Arts ceremony. ~~~ The community of Manhattan, Kansas, is watching the massive National Bio- and Agro-Defense Facility go up at the north end of the Kansas State University campus. As Laura Ziegler reports in our final report on the facility from Harvest Public Media, some in the community are worried that health care, law enforcement and emergency response teams are not be as prepared as they should be, given the deadly diseases to be studied. ~~~ We delve into the challenges of providing long-term care with Shelly Peterson, president of the North Dakota Long Term Care Association; and Craig Christianson, NDLTCA board chair.